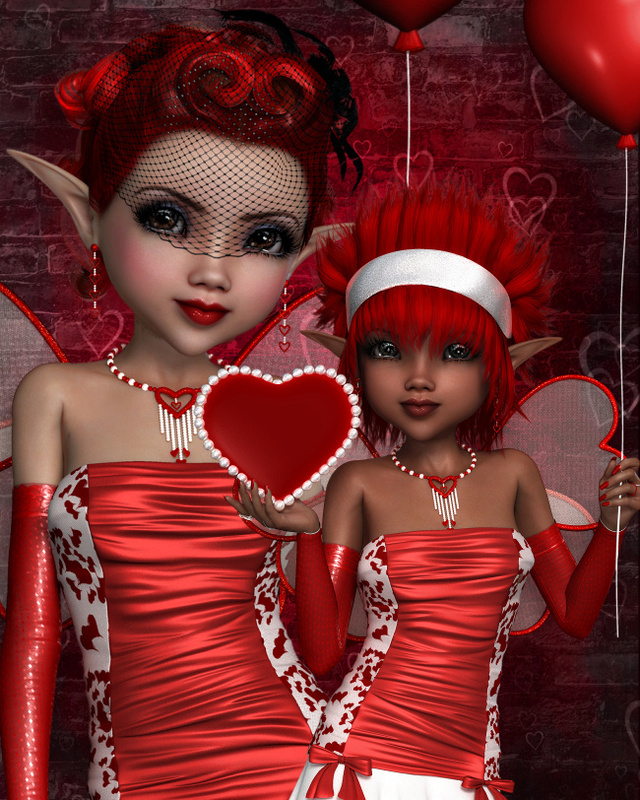 Some ultra festive fairy graphics in passionate red for Valentine’s Day. Some have heart balloons, and some have hearts, or Cupid’s bow and arrow. They are vibrant and eye-catching. This package also has hearts, seamless tiles, and a fairy heart wings. Not all are shown. The actual images have no drop shadows. Extra sweet graphics for Valentine’s Day! 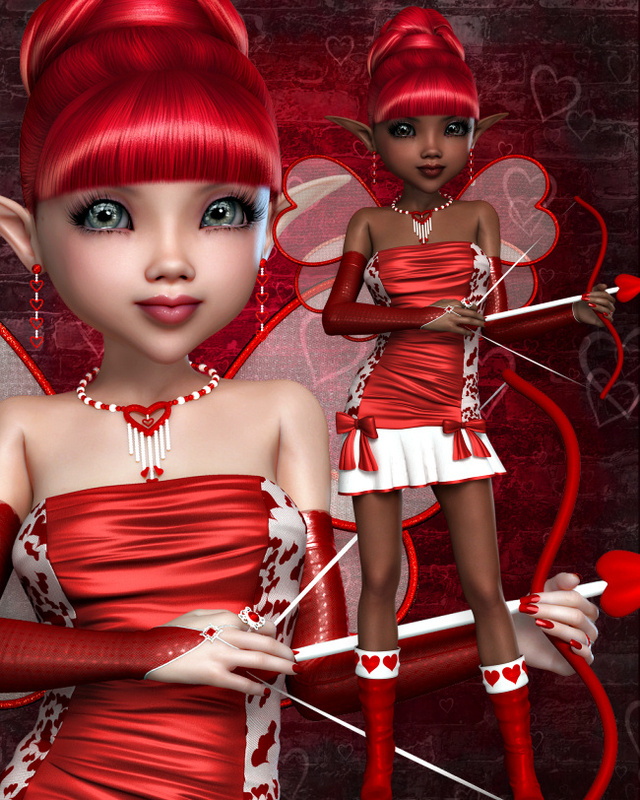 A package of Sweetheart Valentine Fairy Graphics that are nothing short of stunning. In sizzling red, they are vibrant and sweet and are here to help you express your love this Valentine’s Day. Create something festive and unforgettable on this romantic holiday. There are plenty of fairies to choose from, and I’ve used three of my favorite hair styles for them–including a vintage hair style. 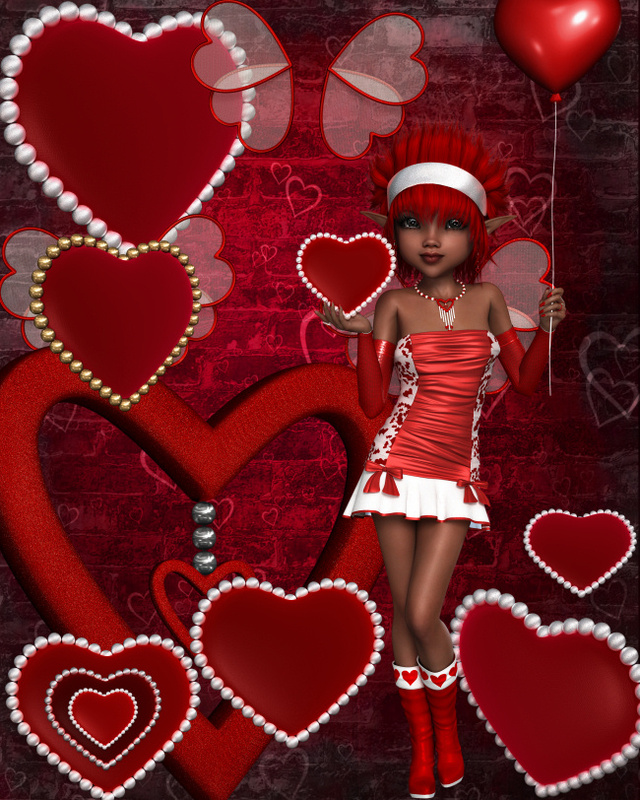 Some of the fairies have bows and arrows, some have hearts, and some have heart-shaped balloons. I’ve included several matching hearts as well for your designs, and a pair of wings in case you want to create a unique fairy of your own. The seamless tile on this page, and two color variations is also included. One has a transparent background so that you can put the color of your choice behind the hearts. These seamless tiles will be perfect for backgrounds, paper making, flood fills, etc. Use these images for scrapbook pages, cards, tags, a background for your artwork, or for countless other projects. The size of these images varies, but they are extra large about 2400 X 2800 pixels. All are 300 DPI, making them great for print projects. Members can use the tubes for personal or commercial projects, including web design, template design, graphic design, t-shirt design, candy wrappers, scrapbook designs, signature tags, and more. If you have any questions, please email me. This package is three zip files, which are about 46-84 MB each.